Truly special athletes, the ones that fathers talk about to their sons and daughters, change the game they play. 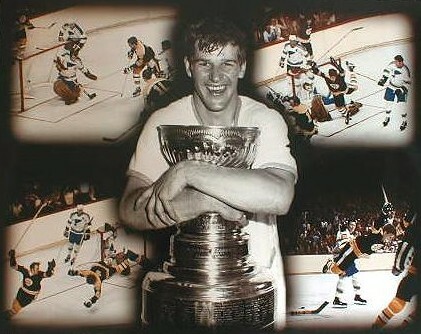 Arguments emerged late in the 20th century about who most deserved to be called the greatest hockey player of all time. Perhaps it was the retirement of Wayne Gretzky in 1999, surely a contender as hockey player of the century, or perhaps it was a desire to sum up 100 years of a sport that had come into its own and grown exponentially around the world that led to these discussions. Hockey fans in Parry Sound, Ontario, in the late 1950s saw a lot of this hockey genius in its infancy. 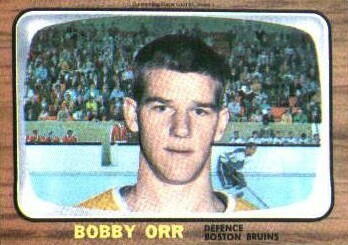 Doug Orr, Bobby's dad, had been a speedy player and gifted scorer in his own right. He wanted his son, still small for his age but also enormously talented, to play forward in order to take advantage of his speed and puckhandling abilities. Bucko McDonald, a former NHLer who played defense in the 1930s and 1940s and coached Bobby when the youngster was 11 and 12, believed his charge had all the makings of an outstanding defenseman. He taught Bobby the ins and outs of the position and encouraged him to use his offensive skills as well. Orr was inducted into the Hockey Hall of Fame in 1979. He worked frequently with charities in the coming years and maintained close links with the game. He later became an agent, helping young players benefit by sharing his difficult early experiences through the business side of the sport.